Make your own 3D printing filament from recycled bottles and other plastic products. Never run out of 3D printing filament. 156 backers pledged $32,330 to help bring this project to life. Filabot is a 3D plastic extrusion system. For example mostly any type of recyclable plastic, such as milk jugs, detergent bottles, soda bottles, shampoo bottles, product packaging, and many more, can be processed through the Filabot to make usable 3D printing filament. This will allow for users to remake filament from an old print that is bad or not needed. The Filabot will grind, melt and extrude the plastic filament. It is a one stop shop for all the filament you could ever need. Plastic recycling and extrusion have been around since plastic was invented. How do you think the filament bought online is made? There are a few websites/ users that have started to develop this system, but none have brought it to the scale where it is simple and easy to use. The whole goal of the Filabot is to have a complete system that is affordable and reliable. Filabot right now is more than just an idea, we have tested our prototype system with great results. But we need your help! We need backers to help support the cause so we can make the best system possible. It is a bold and big idea but with your help we can create a device that helps user of 3D printers to become self-sufficient. Going along with the desktop theme, The Filabot will be designed to fit on a desktop. We want to allow users to sit at their desk with their computer, 3D printer, and Filabot. The size we are trying to fit in will be 24in by 12in by 12in. The grinding unit of the Filabot will process plastic up to the diameter of 4in, larger pieces will have to be broken down before feed into the grinder. After grinding the plastic will be a uniform size and will be automatically feed into the hopper. From there the feed screw will push the pieces into the barrel to be melted at the correct temp. The molten plastic will be extruded out of interchangeable nozzles. The 3mm and the 1.75mm will be included with all the kits. The nozzle will be a simple twist off to change it out. After extrusion the filament passes through a sizing roller so that it will be the correct diameter for printing. Directly after the rollers is a cutter that will cut off any oversize that was not taken care of by the rollers. Finally the filament is rolled onto the spool for future parts. 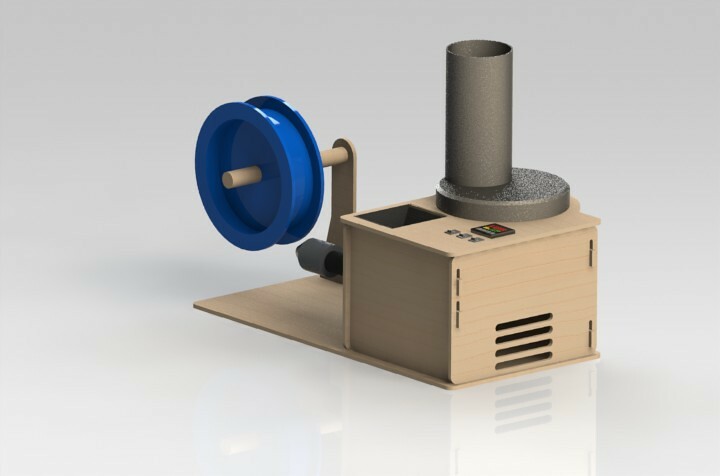 The funding from this kickstarter will be used to further develop and produce these extruders. Filabot needs funding to keep going. Parts need to be prototyped and tested. This all takes time and money. If there is a will, and a kickstarter, there is a way! So far we have tested some of the following plastics, once the prototype is finished we will be testing all the following plastics along with the long list we have from users. The Filabot may even be able to melt and remake crayons. PET or PETE is the most common type of plastic used in soda drinks and so on. It is very easy to grind up and should be easy to melt and extrude. PE-HD or HDPE is another common plastic that is very easy to melt. I have worked a little with this type of plastic and see a lot of potential with it. This type of plastic is used in milk jugs, 5 gallon buckets, water pipes, juice bottles. PE-LD or LDPE seams that it will be harder to grind up since it is soft. But is is recyclable. This is also another promising type of plastic. PP is a plastic that might work. 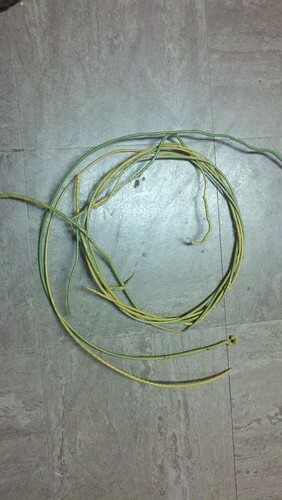 It is used in larger plastic products like chairs and ihomes. Other plastic types. Such as Gas Cans, DVDs, CDs, Sunglasses and so on. This category has a few different types of plastics. Thank you for backing this, everything help out. We will post your name on the Extruder website. Backers will get a 3D printed bottler opener from the thingverse website. Printed with recycled plastic. Backers will get a printed tape dispenser from recycled plastic. Tape included. Backers will have their name printed on the control panel of the first 20 Filabots manufactured. The label will be made of vinyl and we will send you a control panel label. Backers will get a full extruder kit. The kit will need to be put together. An instructional video will made to assist in the process. Along with the extruder kit this will also include and unpainted enclosure. This Reward will include the whole Filabot System with an unfinished enclosure all ASSEMBLED and ready to use. All backers will have to do is open the box, plug in, and start making filament. Backers will get a full kit all and enclosure all assembled and painted to color of choice. This level Filabot, going along with backer suggestions, will have some extra features. Everything from the $525 reward level will be included, along with these upgrades. Timed cutter head to chop filament into different lengths and different extrusion dies. This reward is a Limited Edition Filabot. It will come pre-assembled in an enclosure that has a Limited Edition finish. Backers can pick the colors they like and we will be creative and do the rest. The Filabots will be numbered from 1 to 10. Backers will get a upgraded version of the Filabot with an enclosure painted to color of choice. The Fialbot will have a timed chopper to cut extruded plastic to all different types of lengths, and different shape extrusion dies. This will be all assembled and ready to use when it comes out of the box. Makes both 3mm, 1.75mm and other shapes (TBD) with interchangeable dies.